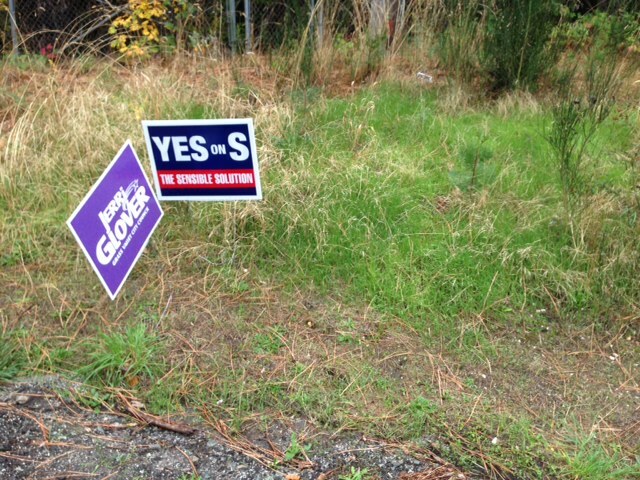 At the intersection of Grass Valley – Nevada City Highway and Banner Lava Cap I noted both Yes On Measure S and NO on Measure Signs. 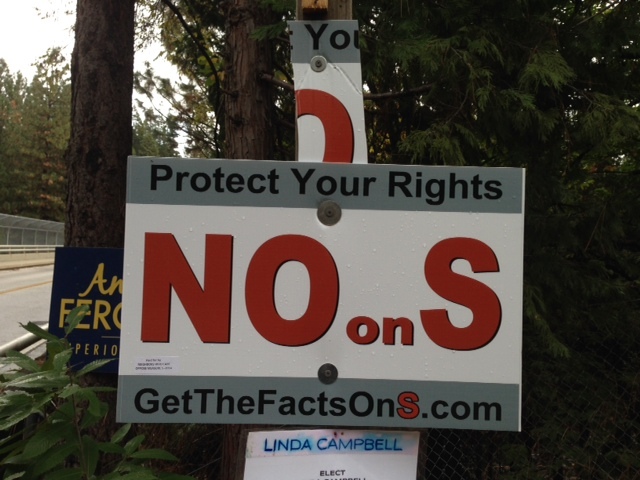 Then the NO on S sign vanished. Today, we say some one had screwed the sign to a near by post. If you look close, you will see that someone sliced off the first screwed in NO On S sign. Then it was replaced. No one touched this Yes on S sign. It appears that the Yes on S are playing a rougher game than the NO on S folks. This entry was posted in Local, Politics. Bookmark the permalink.